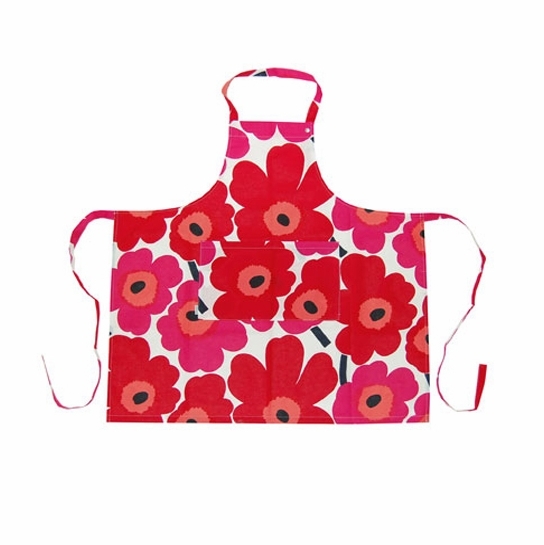 More about Marimekko Unikko Apron - Red This playful and colorful Marimekko Unikko kitchen apron will add great color to your kitchen. 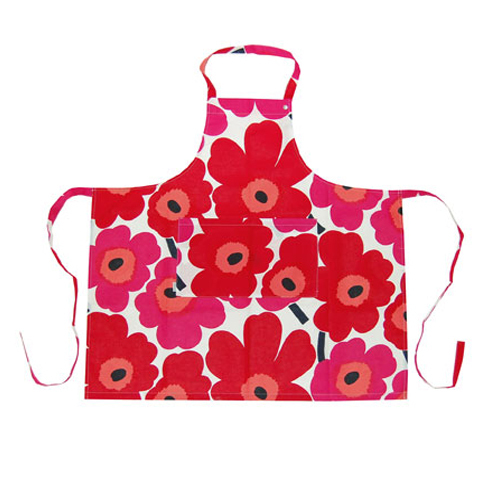 This unique apron features Marimekko's famous poppy flowers in vibrant red. Each apron has an adjustable neck strap with three snaps and a convenient front pouch for holding utensils and recipes. Please note: Each apron will be different, as each is made directly from the fabric, which has a long repeat. 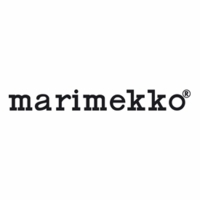 Iconic Marimekko print - so much fun to wear! Love, love, love this apron! Bought two of these a couple of years ago - one for my daughter and one for me. We wear them when we bake together, especially at Christmas. ProsWash well - retain color beautifully! This apron will decorate our new kitchen and it gives a sunshine to my days! Is this a short apron as in the photo?or a normal size one? can you please give dimensions of apron? Hello, The apron is 33"X 33" with 10"x10" radial cuts at the top for the arms.